Among the largest buildings constructed by the Mariemont Company, this three-story, timber-and-brick historic inn in Cincinnati was only half of the architect’s original design. Architects Zettle and Rapp designed the building in the shape of a “V” with the main entrance at the apex and began construction on April 20, 1925. The two wings, one on Wooster Pike and the other on Madisonville Road, were to extend twice as long as they do today. Although no written explanation of this change can be found, cost was probably a factor. When opened, the historic building had 58 guest rooms. Since it had no elevator, a few first-floor guestrooms were provided for those unable to climb the stairs (a lift was later added). Encouraged by its radical design and central location, the Mariemont Company relocated their offices into the present lobby area—the hotel section was intended to only be a small part of the whole building, with retail and office space occupying the main portion. The hotel section opened for business in 1929. The landmark Mariemont Inn advertised “lovely appointed” single rooms and suites, available by the day or for longer periods. The Mariemont Company retained ownership until July 1945, when it was sold for $125,000 to Lawrence Jones of Philadelphia, who had been leasing it since 1943. In 1962, it was sold again to its present owers. In the early 1980s the hotel was established under the Best Western flag where it still is today. 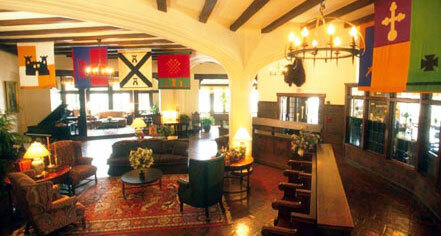 Best Western Mariemont Inn, a member of Historic Hotels of America since 2003, dates back to 1926.